I’m the new kid on the Clarity Hospitality NZ scene. I’ve already had the pleasure of speaking with some of you via the support desk or perhaps on site at training. 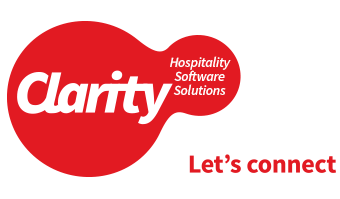 I’ve joined the team in a Trainer/Support role, my forte is the UI (User interface) of Clarity Hotel Manager, Event Manager and XCR. I’ve already had a few on site and web trainings under my belt and I am enjoying getting out and meeting everyone and looking forward to more of it in the new year. I’ve just moved to the big smoke of Auckland from Hamilton (so not far really) and have a background in Tourism. My previous role was a support technician for an online booking engine and OTA based in Hamilton, there I worked as a customer support technician. I graduated at the University of Waikato with a bachelor of Tourism Management, specialising in Spanish language. I am of course a big fan of travel. I did my OE in Valladolid, Spain when I was 20 and have done a few more trips since that big adventure. Other things of interest that you’ll really want to know about me include sports: tennis, volleyball and indoor netball, food and wine, and binge-watching TV. Excited for the things to come and working with you all.